Dunkirk is the tenth film from acclaimed director, Christopher Nolan, who has brought to us a number of ground-breaking cinematic marvels; between Inception, The Dark Knight trilogy and Interstellar, the man has continually proven to be one of the most innovative minds working in the cinematic landscape today. Dunkirk is dubbed as a war-suspense film, focusing on the World War 2 events that left 400,000 men stranded on the shores of France as German troops closed in on them, all while a planned evacuation is underway. Critics have been calling Dunkirk one of the greatest war films ever and the best in Nolan's glowing filmography to date - but does it live up to the hype it, and the attachment of Mr Nolan, has generated? Told from three perspectives - the land, sea and air - Dunkirk documents the operation to extract the men and return them to the United Kingdom. Each of the story threads are interwoven in a non-linear narrative, covering one week on land, one day at sea and one hour in the air. Nolan's intrigue in time has been explored in the likes of Inception and Memento, with the twisty Dunkirk further demonstrating his interest in the idea and bold steps and techniques to explore it. 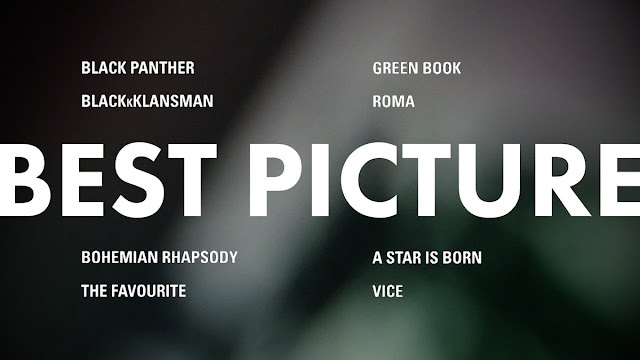 A largely British (and Irish) ensemble cast star in the picture, including Fionn Whitehead, Tom Glynn-Carney, Jack Lowden, Harry Styles, Aneurin Barnard, James D'Arcy, Barry Keoghan, Kenneth Branagh, Cillian Murphy, Mark Rylance and Tom Hardy. Dunkirk in a nerve-shattering, unrelenting and intense cinematic experience of the highest, most sophisticated level. Without question, Nolan's picture is a sheer masterclass in atmosphere and tension, crafted by a brilliant mind and executed phenomenally. Of course, and completely unsurprisingly, Nolan is at the very epicentre of the film's success, writing and directing the piece in a way very few could even comprehend, nevermind actually effectuate. The man's imagination and creation is an endless source of inspiration and admiration; on screen, he produces visually captivating and impressive images, bolstered by his ability to maintain the inbuilt tension from first beat to last; off screen, and with a pen in his hand, he constructs an excellent script that expertly weaves the unconventional tryptic narrative and timelines. Dunkirk's script is an unusual one: restrictive on dialogue and concentrating predominantly on its swirling narratives and the importance of suspense, Nolan treats his audience with respect, throwing the complex idea of non-linear storytelling at them with aplomb. Nolan has never been afraid to place a great deal of trust and assurance in his audience and it has certainly benefitted them, delivering a new wave of smart, sharp blockbusters. That exact notion continues here and the assumption that the audience can piece together the story themselves results in an immensely satisfying picture that only Nolan could nail. He makes it look damn easy too. Every compliment this man is paid is absolutely merited. Complimenting Nolan's direction is the flawless cinematography brought to us by his previous collaborator, Hoyte van Hoytema. Honestly, can we just hand him the Oscar now? Against such brutality and devastation, Hoytema extracts the pale colours from the sky and the deep blues of the British Isles, to form a visual as stunning as it is powerful; Dunkirk could have easily looked like wet cement, dull and drab to match the bleak evacuation - but shots of the soaring planes and ships inbound cannot help but send shivers down your spine. Hans Zimmer's sensational score is resolute, absolutely critically in cultivating and progressing the film's never-ending tension. Feeding into the suspense, Zimmer's hugely influential soundtrack choreographs the film and events, acting as the foundation for its narrative strands to dance around, as Nolan and Zimmer, together, ramp up the tension to almost excuriating levels. Something as simple as a ticking clock, in all its overuse as a cinematic device, is completely appropriate, heightening the impact of the race against time. Zimmer ensures the invigorating and enormously important use of his soundtrack never goes amiss and its constant presence in the picture is one of its many defining features. Blistering and searing, the only thing almost as loud was my heartbeat every single time the soundtrack reached a crescendo. Give this man all the awards, now. Another highly-praised (and deservingly so) element is Dunkirk's editing. Lee Smith's rapid-fire cutting and stitching together of the various strands and timeline parallels that growing cacophony and encourages the film to move along at the brisk pace it does. At just 106 minutes, the amount of ground and substance the film covers is astounding, but the editing plays a large hand in ensuring it never appears rushed, messy or hacked, which could have acted as a destructive detriment to the film. Thanks to Smith's control and Nolan's input, those pitfalls are avoided and the film excels. As with most genre pictures, Dunkirk is a very loud film. It's startling and overwhelming, busy and frantic for the most part as planes fire and the soundtrack (and your heart-rate) builds - but its script remains surprisingly silent. Dialogue is sparse and infrequent, utilised as a method to convey themes of shell shock and devastation, to further benefit the atmosphere, tone and tension and because it is simply not needed. As explained, Nolan trusts his audience to follow for themselves and sees dialogue and language as a potential hindrance to that all important tension and the audience's absorption in the film. Nolan's bravery to do this, a way from the usual conventions of a film like this, is one of the many reasons he is so highly-regarded in the industry, by fellow directors and budding film-makers. Dunkirk is really an ensemble number and it would be unfair to call anybody the lead, per se. Nolan's conscious decision to cast only actors from the British Isles proves to be an incredibly smart, adding to the film's realism - you genuinely believe this young men are soldiers on the shores of France, fighting their way towards home. Those on land are a relatively unknown ensemble (for their acting, in the case of Mr Styles) but prove to be a genuine crop of rising stars. Fionn Whitehead has a real career ahead of him in the industry, and his ability to convey so much emotion, fear and naivety through a performances largely devoid of words is astonishing; One Direction member Harry Styles makes his acting debut with a truly credible turn as Alex, another solider fighting for home, with a growing paranoia brought through the effects of the trauma of the battlefield; Aneurin Barnard is powerful as the deer-in-headlights type, struggling with his surroundings; while the more established Cillian Murphy provides a complex turn that allows us to explore themes of PTSD and claustrophobia with a brilliantly captivating turn as a lone survivor. As their superiors, the likes of James D'Arcy and Kenneth Branagh consider the logistics of a mission as huge and crucial as the Dunkirk evacuation, demonstrating the sheer weigh higher-ranking individuals were forced to contend with. On the sea, Mark Rylance leads the way with his son and ship hand, played by Tom Glynn-Carney and Barry Keoghan, providing some of the most touching scenes of the picture. In such a confined space (and the film really is defined by these suitably uncomfortable set pieces), the trio provide some poignant moments that displays the effects of those left behind in the war. And finally, Tom Hardy and Jack Lowden command the air as pilots, with two reliably fantastics turns. 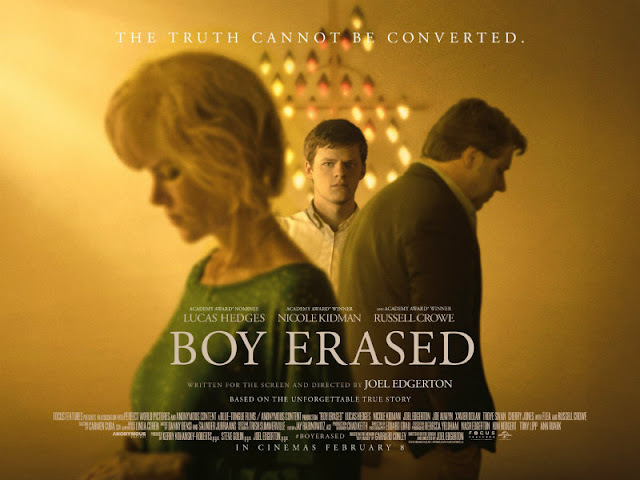 It is rare to see a film with an ensemble bursting with talent with no clear lead emerging; Nolan cleverly avoids temptation and this never becomes an issue - he simply does not require someone to anchor the film, achieving that through his script and direction - and places two much larger entities are the major key players and 'characters'. Home and hope are two themes continually present throughout Dunkirk, almost manifesting into characters themselves. Cutting through the horror and bleakness of war is this underlying inspiration and drive to reach a home the soldiers cannot see; their unseen salvation. A visual story, with every shot of the sea comes an understanding that home is just beyond it; with every bomb dropped comes the knowledge that hope will lead them out of battle - Nolan places this idea at the forefront of the picture and these ideas become as important as any character. Home and hope never leave the film's sight or core, despite only materialising metaphorically, with this extraordinary balance attained. Dunkirk is very close to being the perfect film. Only a handful of flaws (very minor in the grand scheme of things) prevent it from achieving the superlative statement though. It has been heavily discussed in the lead up to release but I do feel that the 12A/PG-13 rating restricts it somewhat; I understand the decision to emphasise the suspense rather than the gore of war. in many ways, it should be appreciated - but the film strikes you as somewhat sanitised through its absence of horror. It's an incredibly odd scenario to find yourself in - it works for what the film is trying to do, be and say but feels like a missed opportunity to serve as a reminder quite how harrowing war was - but Dunkirk encounters that problem nonetheless. It doesn't cripple it but instead arises as a missed opportunity. 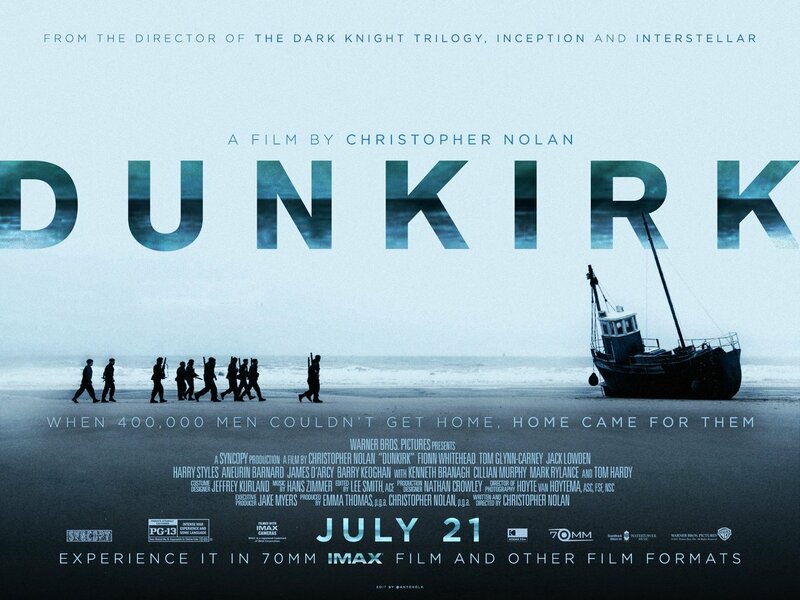 Despite so many successful elements parading Dunkirk as one of the year's very best, it is Nolan's control that allows it to shine and succeed; control of tone (something that could have felt woefully misguided in less capable hands); control of the script (striking a balance between necessary dialogue and suspense); control of sound (the soundtrack and mixing linked so intrisincially to the tension required); control of characters and performances (they are more representations of the various individuals found on the battlefield). I should be surprised at how assured it is - but I am not. With Dunkirk's brutality comes a beauty and with its complexity comes an understanding, resulting in a cinematic experience so considered, visceral and expertly rendered that it will be remembered for years to come. Dunkirk will be held up as an example of what cinema can, and should be. Many directors would love to have that longevity and appreciation for just one of their films - Nolan has, to my counting, a third in the terrifying, shattering Dunkirk. Go and see it, seriously. Summary: Dunkirk is a film of extraordinary control, tension, power and skill. Christopher Nolan delivers a cinematic experience that must be seen to be believed, building the film (through his magnificent direction, smart script, the brilliant ensemble and Hans Zimmer's masterful soundtrack) to an excruciating level that only a master of his craft could achieve. (If you haven't already, be sure to check out the ranking of Nolan's nine previous films to Dunkirk over on Through The Silver Screen, from a similar group of people who brought to you the Marvel Cinematic Universe Showdown).